Education is the first step in empowering women and breaking the cycle of poverty. 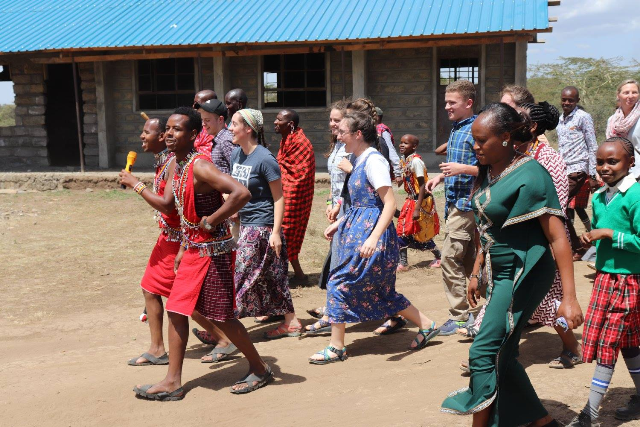 -Exploring Maasai culture, Kenyan landscape, and even local Geology. 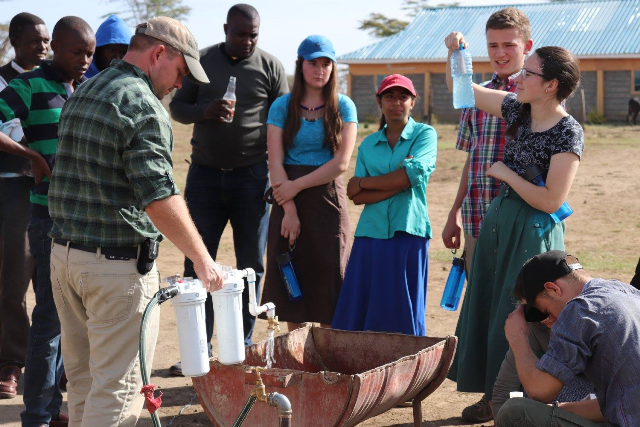 But, while all of these were all addressed and accomplished, much more was shared between this group of Americans and the good people at Nasaruni. This group’s overall mission sought to give love, build understanding, and give materially and altruistically. What they never could have fathomed was magnitude of love, giving, and depth of understanding they would receive back from the girls and staff at Nasaruni Academy. It was a powerful trip! The Maasai welcome people like no one else. Upon arrival, the group received an amazing, fun, and music-filled welcome experience (Top). 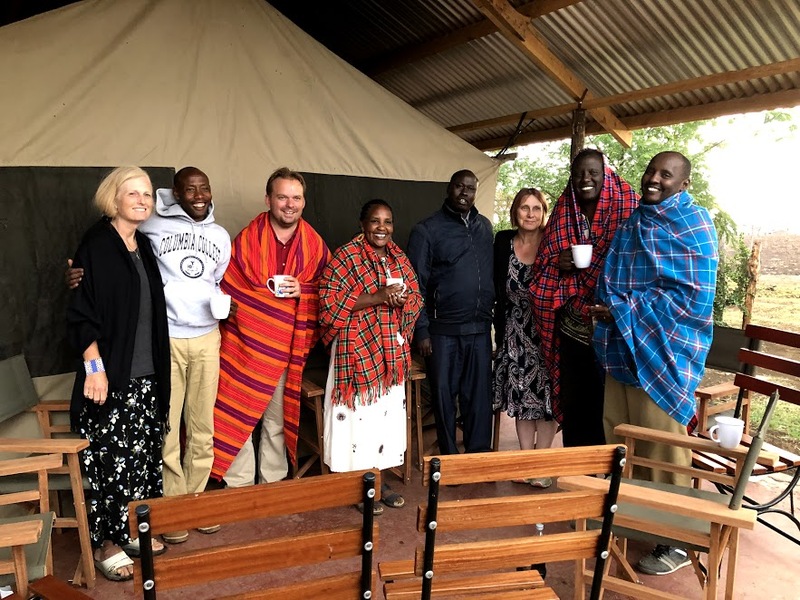 A joint American/Kenyan Nasaruni Academy board meeting, with chai (of course! ), and during a much needed rain shower (Left to Right: Michelle, David, Russ, Alice, Jason, Tracy, Moses, Julius). 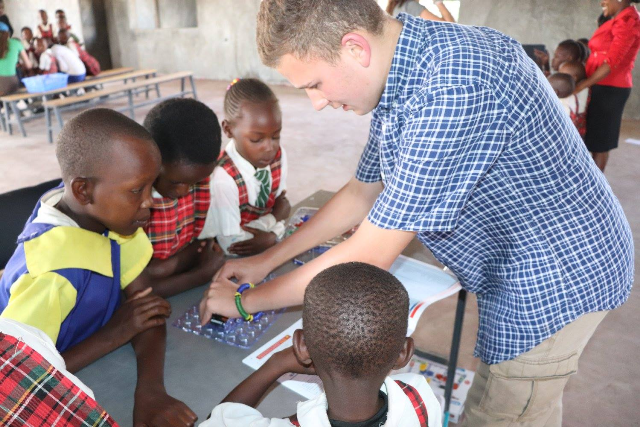 Tommy, playing with snap circuits with the girls at Nasaruni (Top). 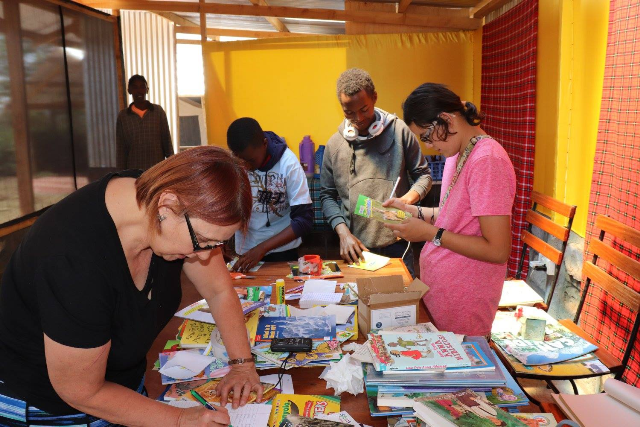 The start of a library at Nasaruni Academy (Bottom). Water is life! Gab, Isaac, and Russ test the bone char fluoride adsorption system at Nasaruni. The bone char was made in Virginia, but is a resource easily created onsite at Nasaruni (Top). Virginia teen Deidrah, who assembled some amazing educational resources for the school, sharing in the teaching of the water cycle with Nasaruni girls (Bottom). The entire group, inside of Suswa volcano in the heart of the East African Rift Valley. Nasaruni Academy for Maasai Girls supports the mission of education for girls in rural Kenya. Through the help of generous people like you, we can make a difference for hundreds of girls! As of January, 2017, we have 40 students living in the new dormitory! For some of those girls, Hope Dormitory, as we call it, represents their first opportunity to come to school. Their families have been eagerly awaiting this day. Another 40-45 girls will come soon. These students will bring the total enrollment in Nasaruni Boarding and Day School to over 130 girls. Nasaruni seeks to be a model for surrounding schools and community housing in our commitment to ecological choices. Thus, we are looking for partners to provide solar power to the whole school compound. Progress for the solar project is awaiting funding ($15,000). If you know any groups who would like to underwrite a sustainable renewable energy project, please contact us: NasaruniAcademy@gmail.com. East Rock HS raised over $1500 by selling t-shirts and raising awareness for Nasaruni! We love our teacher-supporters in the schools!! JMU’s Future Social Studies Educators (FSSE) raised money through t-shirt sales at JMU, First Lego League, & Int’l Festival in Harrisonburg.